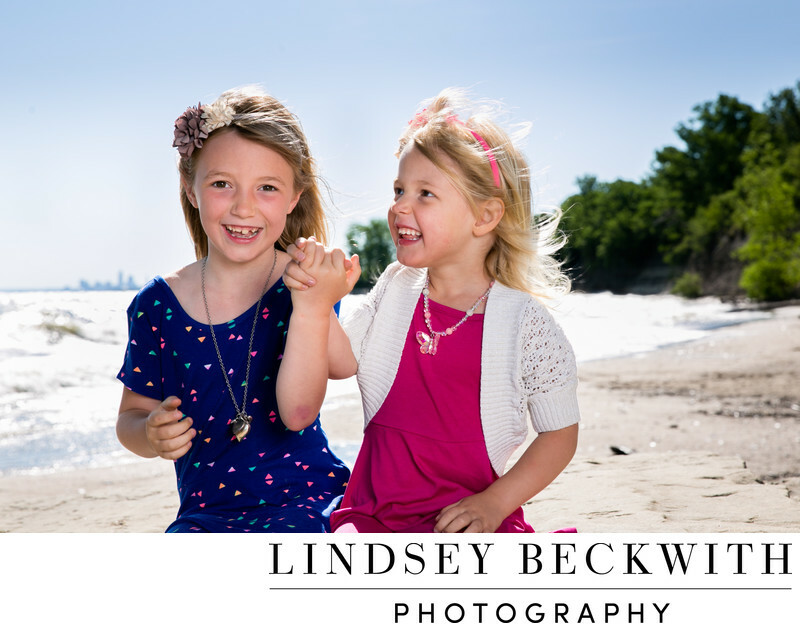 Two little sisters at Huntington beach, holding hands for their beach portrait. I used a touch of off camera flash for this photo, and I love their smiles and tightly held hands. Siblings are the only people you know your entire life. Siblings are true life mates. Photographing and documenting the special connection between sisters brings me joy. Family portrait photographed at Huntington Beach on Lake Erie in Bay Village, Ohio.